Classical Academic Art classes help students produce a professional portfolio that can be used for contests, family gifts, or for their own buisiness. 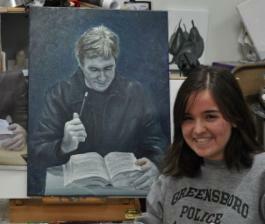 We treat art as a business, and we strive to create the most realistic paintings using the most efficient process. The art is designed to last for generations, and uses the basic elements of design. 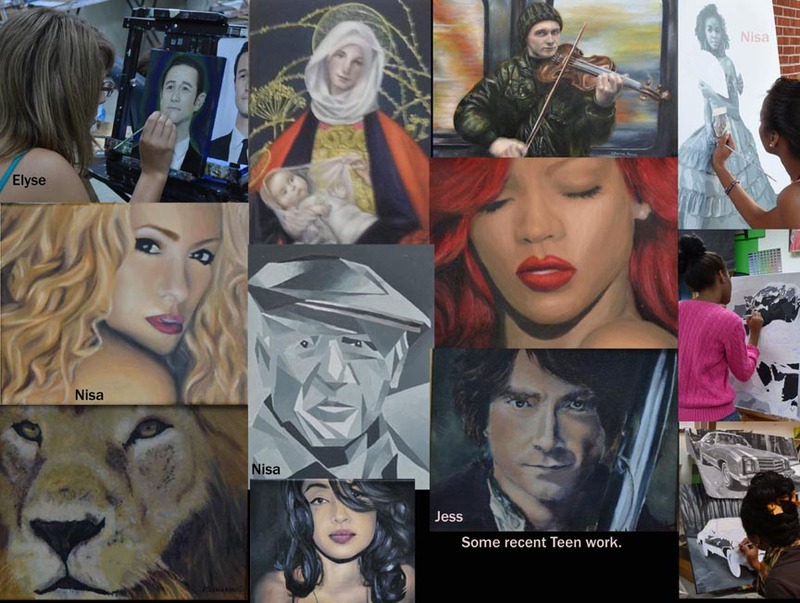 Students ages 13-18 are encouraged to create at least 20 pieces of significant art, so that they can submit the work for College credit in AP Art. (Advanced Placement). 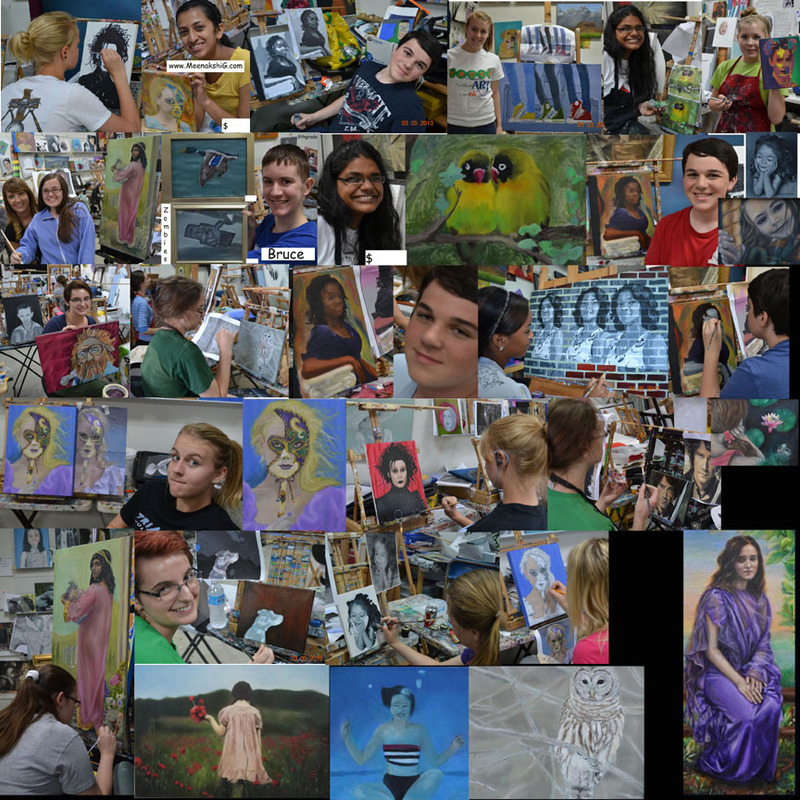 Students work on their own projects with guidance and suggestions, with a goal of obtaining a likeness and achieving at least 5 of the 8 elements of design needed in creating significant art. 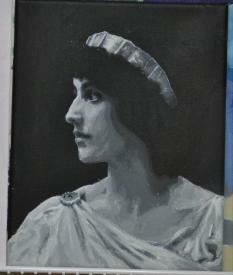 Students learn the methods of the Old Masters, as well as Art History. 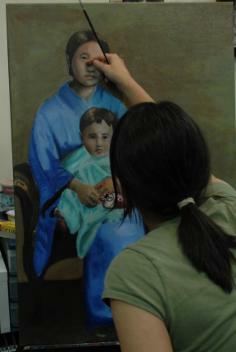 Learn to paint Classical Academic Style paintings, portraits, and still lifes. Learn to paint Verdaccio Underpaintings with Tinted Bonded Marble and learn to super-impose colored oils over your underpainting as they did in the Renaissance. Learn paint history, art history, color application, and Fibonacci's Golden Mean Ratio for Composition. Learn to create significant art. Ages 13-18 can schedule classes Friday 6-9pm (Teen Night club, with prior approval), Sat. 10am to 1pm. Classes are $200 for 6 sessions. Classes must be used within 7 weeks of starting. $250 for 8 sessions, and must be used within 9 weeks of starting. I supply everything they need for the first painting, then they will just need to bring their own canvas. 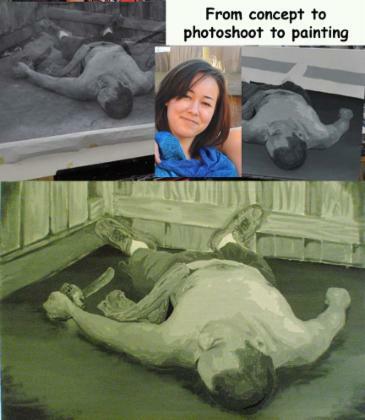 They can also purchase our Tinted-Gesso set so they can do the underpaintings between classes. If you want to pay by credit card, email me and I can send you an invoice through paypal even if you don't have a paypal account. 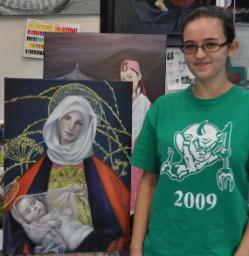 Check out the website www.CatherineKimes.com, Catherine is the first teenager we allowed to take classes. She started when she was 14. What you see from her work is a result of three years of study, with consistent attendance every week over the three years. 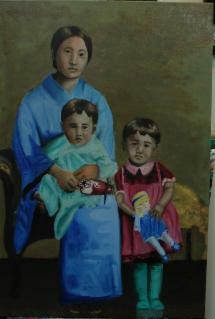 She has developed into a brilliant artist with skills way beyond many professional adult artists. 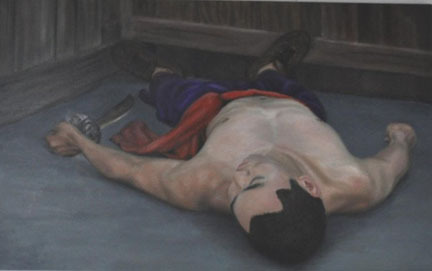 Catherine's work can also be seen in our Cary Gallery at Rey's Restaurant, 1130 Buck Jones Road. www.erikashibasaki.com Erika's website. Erika was accepted into the Rhode Island School of Design, and NC State School of Design, with the help of an outstanding Portfolio. Check out her website to see her work.